Part of the York Central (aka York Teardrop) site, I believe, which in 2004 appeared likely to be imminently bulldozed and covered in apartments. I heard a rumour of demolition beginning here, so thought I’d head this way after seeing the Queen’s hat. It seemed an appropriate ‘re-grounding’ after all the royal and grand goings-on. It looked just the same down here. The buddleia a bit bigger, a bit more junk outside the buildings. The gates were open, just as they were the first time I wandered in, and no one was around to ask if it was okay to take photos. If I was more professional and serious in my attitude I’d get cards printed with my website address on, to hand to people in these circumstances. Instead I had a vague plan to bore them into agreement with my long railway-related family history, which of course I like to mention at every railway-related opportunity. But I don’t know as much as I’d like to. And one thing I’m still not clear about, just as I wasn’t back in 2004, is what these particular buildings pictured were used for, and by whom. Railway or foundry? Or both? 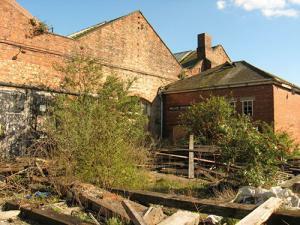 There are foundry buildings down a nearby street (visited and pictured also in 2004). Are these also related? 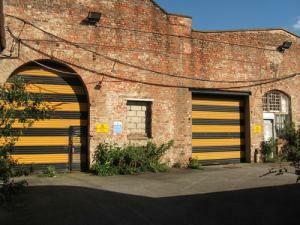 A sign next to the gateway says ‘Permanent Way Engineer York’. So were these used by that department? Until when? 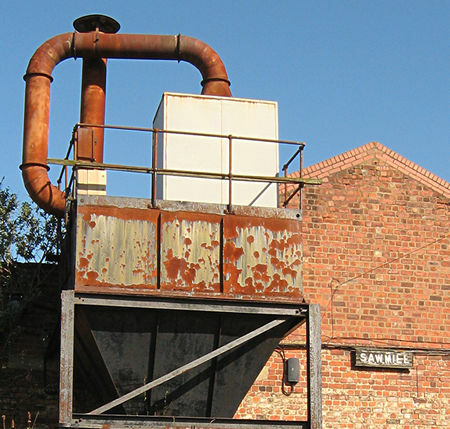 Signs on the buildings read ‘Sawmill’ and ‘Boiler Room’. It’s very easy in York to find information on all aspects of our heritage from centuries back. Much more difficult to find reliable information, or indeed any information at all, on recent history, workplaces, industry. Which is one of the reasons there are so many pages on this website. But I can’t spend my entire days desperately Googling, or hanging around the reference library, so hoping my knowledgeable website visitors may be able to help. 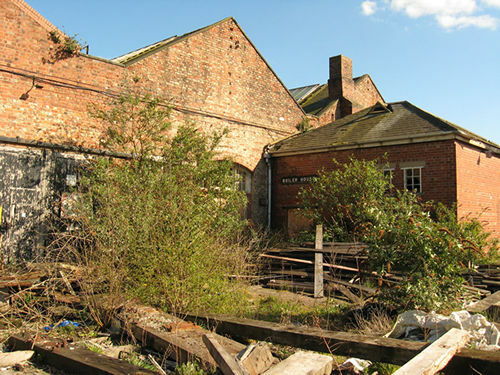 By Lisa @YorkStories • 3 May 2012 Buildings, Industry To link to this page's proper location please use the > permalink. Couldn’t agree more about the lack of written information about our recent history. There’s plenty of raw material – newspaper archives, council papers, oral histories – but apart from the excellent Van Wilson’s publications – there’s very little in the way of books on the subject. York isn’t the only place where this is true – most local historians tend to end their researches at the Second World War. It’s as if we don’t consider the recent past axs “history” – when of course it is the history which has had the most impact on our lives now.